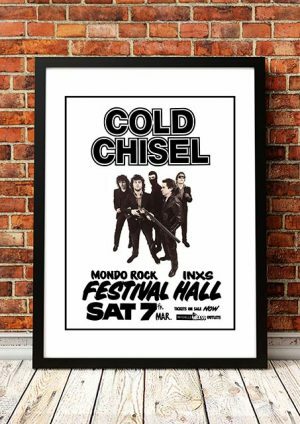 Classic Mondo Rock Band Concert Posters and Memorabilia! Buy Online Now! With the breakup of Daddy Cool in 1975, guitarist Ross Wilson, who had become a fixture on the Australian music scene, formed his own label with Little River Band manager Glenn Wheatley. Within a year, Wilson had released his first single and put together the initial lineup of Mondo Rock, but despite securing a following for live performances, the group split before issuing any material. It wasn’t until mid-1978 that Mondo Rock, with Wilson helming a new incarnation, released a single with “The Fugitive Kind.” For the next several years, Mondo Rock went through a series of lineups, but it also became one of the more popular acts in Australia, particularly as a live act. In 1982, Mondo Rock released its debut U.S. single, “State of the Heart,” and although it failed to chart, it would become a Top 30 hit for Rick Springfield three years later. The latter became a minor hit in the States, reaching number 71 in the spring of 1987. Wilson took time off from the band to record a solo effort, Dark Side of the Man, which was released in 1989, regrouping Mondo Rock for Why Fight It two years later. However, the album made little impact and Wilson pulled the plug on Mondo Rock to pursue other projects. 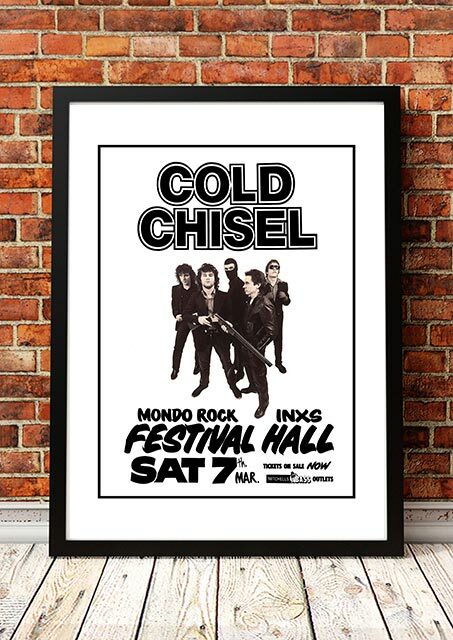 We stock some awesome Mondo Rock Band Concert Posters. Available in different sizes and printed on high quality 210gsm paper, you’ll find no unsightly pin holes, stains or creases. In fact, they look like they could have come straight off the press from the original print run. Will look fantastic framed on your man cave, office, bar or living room wall.